When the cops show up looking for you, it’s natural to feel a bit nervous. Owen Ashieris is a sophomore at Texas Christian University in Fort Worth, Texas. 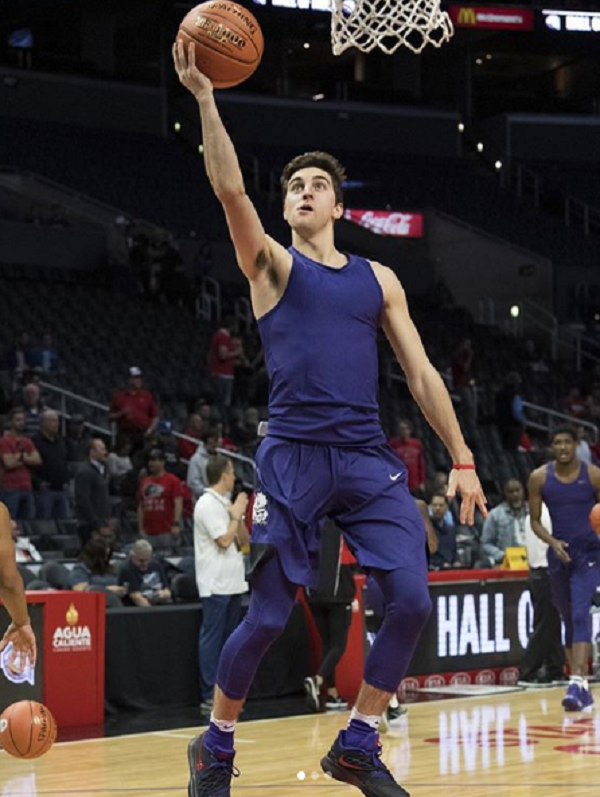 Owen had just recently joined the men’s basketball team at TCU after working his way up the ladder since first joining an organized team in 7th grade. As he sat in a team meeting, coach Jamie Dixon interrupted the meeting to say that someone had to speak with them. 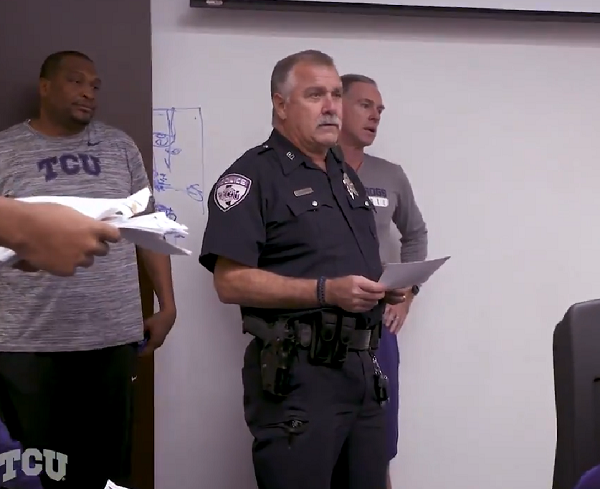 When Owen first came to TCU he hadn’t even made the team. He started off as a practice player for the women’s team, but last summer he finally got a chance to play with the men as a walk-on player. Now, Owen felt the blood drain from his body as a uniformed campus police officer entered the room looking for him. You can hear a pin drop in the small room as Owen walked over to the cop to see what was up. 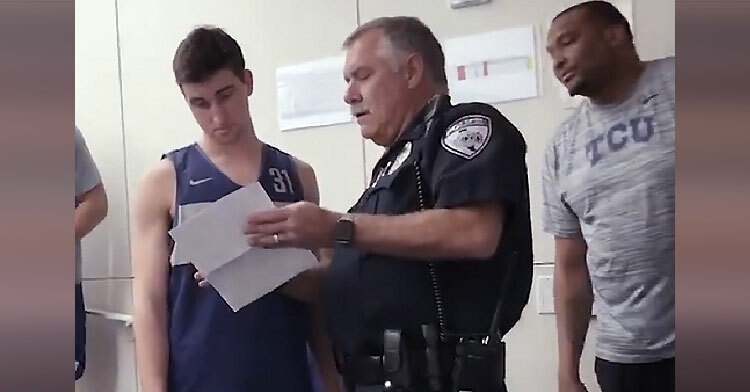 The cop held a piece of paper in his hand, and as he mumbled something about a detective who needs more information, things didn’t look good for the 21-year-old guard. The cop told Owen that he needs to confirm that it’s his name on the paper, you can see a smile playing around the older man’s lips. Seconds later, Owen’s face breaks into a big grin as he realizes that he’s not in trouble at all. 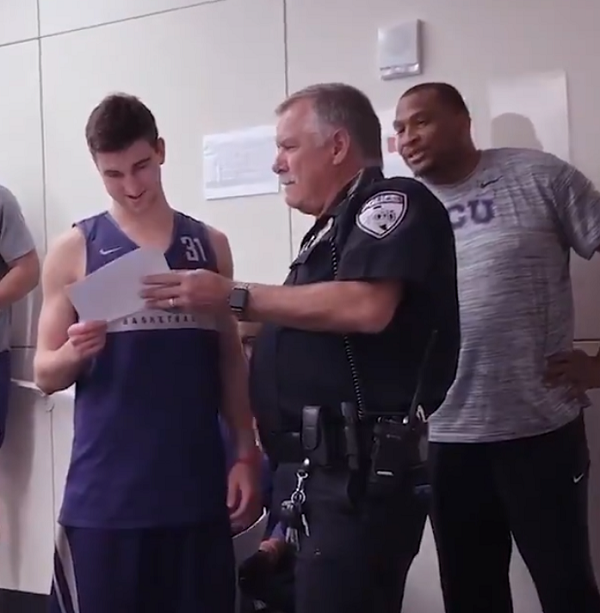 In fact, the cop is presenting him with a scholarship to play college ball with the team! 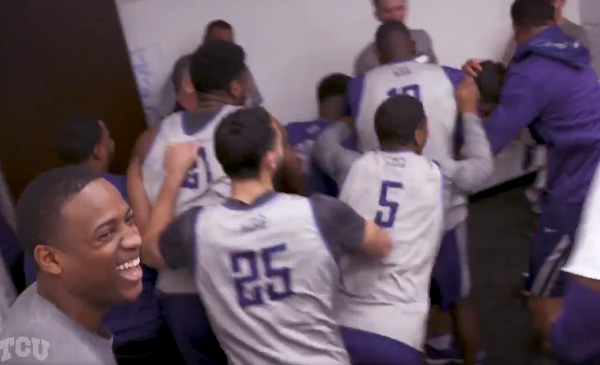 Once the team figures out that Owen is now an official TCU player, they all jump from their seats to embrace the thrilled young man. Coach Dixon says that he couldn’t be happier to offer Owen the scholarship because he’s an incredible athlete who never shies away from hard work. “You can talk about championships or winning games or this, but the instances where we’ve been able to give a scholarship to a kid that has worked his tail off and given so much to our program is some of the most memorable moments that I’ve ever had,” Coach Dixon said. Teammate Desmond Bane, who is the top scoring player on the team, said that he’s not surprised at all that Owen achieved this success. 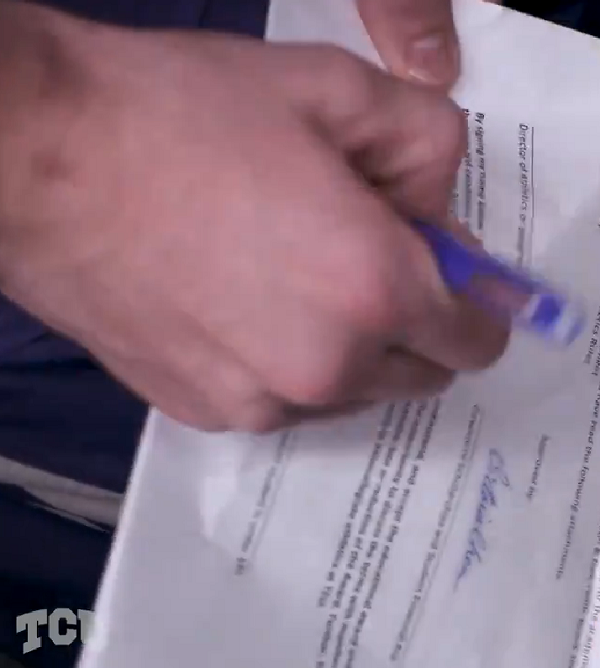 With a shaking hand, Owen signed his contract right then and there. Well done, Owen! This is a wonderful way to receive such life-changing news. The college really seemed to enjoy giving Owen what he’s worked so hard to earn, and we wish him nothing but the best for the rest of his career. 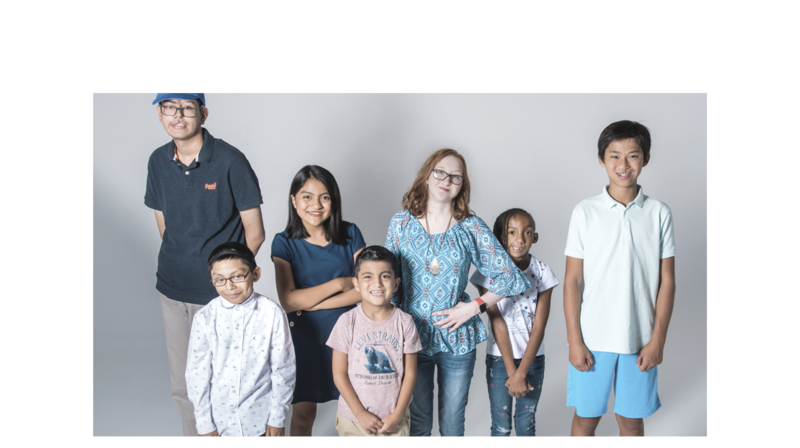 Watch the thrilling moment when Owen gets his scholarship in the clip below, and don’t forget to share.